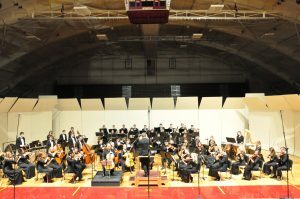 The Concordia Orchestra plays in Memorial Auditorium. Photo by Bailey Hovland. The Concordia orchestra concluded their national tour with a home performance this past Sunday, Nov. 5, and its members are already looking ahead toward the recently announced Spring 2018 international tour to Greece. Dr. John Roberts, the chair of the music department, explained that many factors went into the selection of Greece for the orchestra’s tour destination. International tours rotate between the three flagship ensembles–the Concordia Choir, Concordia Band, and Concordia Orchestra–on a yearly basis. Roberts says it is important that these tours serve as a culturally and academically stimulating experience for students. Past music tours have taken place in Palestine, Israel, and Germany, and were chosen in part for their rich histories. Given Greece’s importance in the development of Western civilization, the mediterranean nation piqued the department’s interests. “Culturally speaking, [Greece] is incredible to visit whether you’re a musician, English scholar, or philosophy major,” Roberts said. Orchestra students have expressed excitement regarding the tour’s location. Solveig Lange, a senior violinist in the ensemble, said that Greece provides ample opportunities for the exploration of musical origins. Lange and her fellow musicians will be directed and advised on tour by music professor and the orchestra’s conductor, Dr. Kevin Sütterlin. This trip will be Sütterlin’s first international tour with the Concordia Orchestra, as he has only conducted the group for two years. Sütterlin traveled to Greece for the first time this past summer and expressed excitement at the prospect of introducing his students to an international experience. “I love seeing my students grow by immersing themselves in a different culture, and seeing my students making new friends through their music,” he said. Roberts made his confidence in Sütterlin’s involvement with the international tour very clear, commending the conductor’s recent efforts towards widening the orchestra’s public impact. 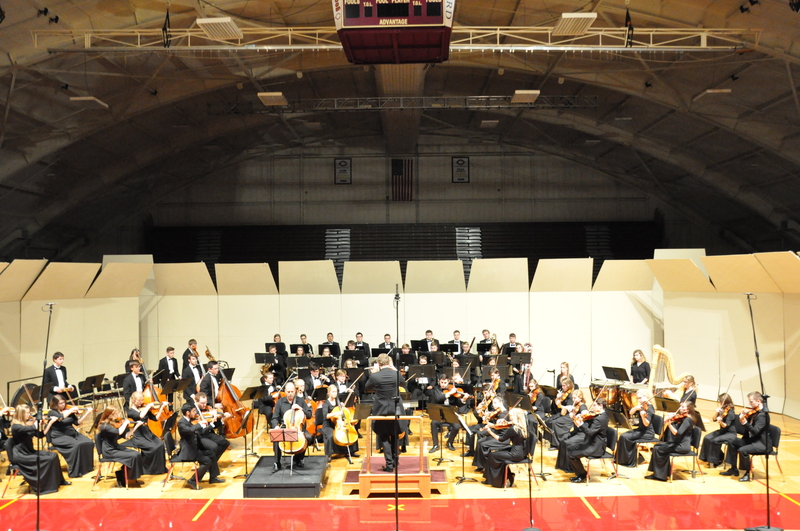 Roberts thinks that opportunities like the orchestra’s tour in Greece are not only beneficial to individual students, but also to Concordia as a whole. This valuable experience does not come without a price. The department tries to keep costs at a minimum for students, and the per-student costs tend to range from $3,000 to $4,000depending on the trip. According to Sütterlin, these costs cover airfare, domestic travel, instrument rentals, hotel stays in four- and five-star star hotels, breakfasts, and dinners. Additionally, the Robert V. Lieseth estate has donated $20,000 to the cost of transporting instruments. Lieseth, ’56, and his three children, Bruce R. Leiseth, ’81; John R. Leiseth, ’84; and Kristi K. Leiseth Pederson, ’87, are all Concordia graduates. Despite Lieseth having never participated in Concordia’s music program himself, his family explained that they were very pleased at being able to meet the orchestra’s need. Roberts said that the donation was extremely helpful to the orchestra’s trip and the orchestra was grateful to the family for their contribution. In attempts to lower the baseline cost for students, Lange and other orchestra members will continue fundraising throughout the semester. Sütterlin said that he believes the trip will be well worth its expense for students. “The students will get once-in-a-lifetime performance, networking, and cultural opportunities,” he said.